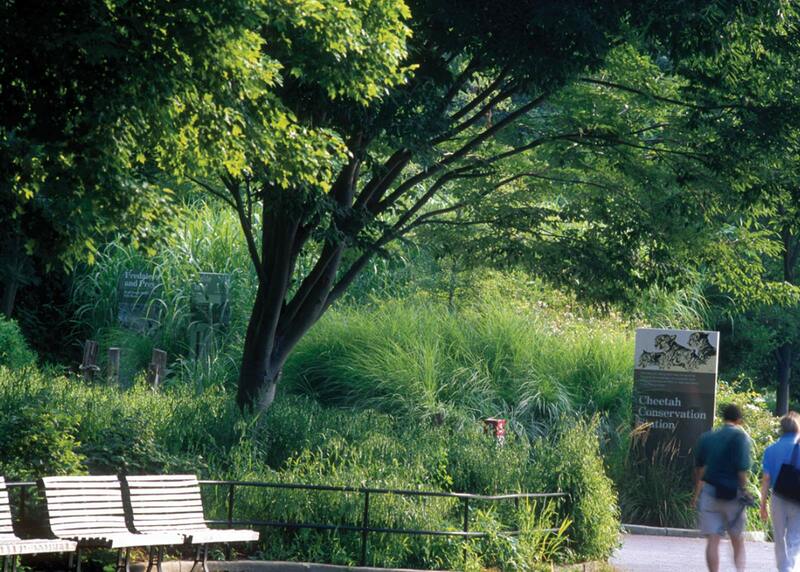 OvS’ renovation of the Olmsted Walk, the historic pedestrian promenade through the Smithsonian National Zoo re-interprets the zoo grounds as a “biopark.” Under this concept, traditional Zoo exhibits are expanded into total environments. OvS selected plant palettes that have a close association with the habitats of the respective animals. The design accommodates access and circulation, visitor orientation, zoological and horticultural education exhibits, passive recreation, and visitor services. Complex regrading for accessibility, drainage, and utility systems demand sensitive engineering, especially in areas adjacent to existing buildings. Design services include fountains, sculpture, lighting, and furniture selection.